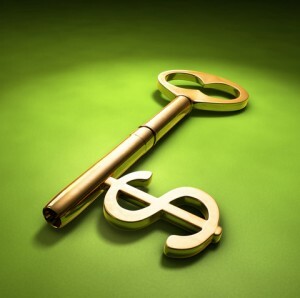 Advanced Wellness Lifestyle Series #1: A Profitable Return on Investment. What is the documented evidence of costs to businesses having employees who unknowingly exhibit unhealthy lifestyles? “If employers could be convinced that a true wellness program brings an immediate increase in employee productivity, then they would see an improvement in their bottom line and would have financial incentive to enact changes. This is exactly the benefit that the Zone (Advanced Wellness Lifestyle Program) provides to employers.” Dr. Barry Sears. The Advanced Wellness Lifestyle program is the pathway for employers to understand how healthy, happy productive employees help determine the profitability of the company. It is intuitively obvious that unhealthy, stressed employees cost companies money. There is much evidence documenting the costs to businesses of having employees who exhibit unhealthy lifestyles. Creating a healthy work environment will save a corporation hundreds of thousands of dollars. This series is designed to show exactly how investing in a wellness prevention program will produce return on investment. 1. What they bring with them to the workplace in terms of personal resources, health practices, beliefs, attitudes and values. 2. What the workplace does to employees once they are at work, in terms of organization of work in both the physical and psychosocial sense. It is incumbent on the employer to exert a strong influence on the first factor for greater company profitability. The Advanced Wellness Lifestyle Program focuses primarily on personal health resources. However, it should be known that expenditure here improves the organizational culture and physical work environment. Personal health resources are the resources, opportunities and flexibility a company provides to support employees’ efforts to improve or maintain their personal health practices or lifestyles. Work, in terms of location, work load, work hours, snack and beverage availability, can often create barriers to employees wishing to make healthy lifestyle choices. These barriers can be removed or lessened by education and motivating employees to reach personal health goals by using the Advanced Wellness Lifestyle Program. Follow this series to find out more about the benefits of a solid personal health program for your business.